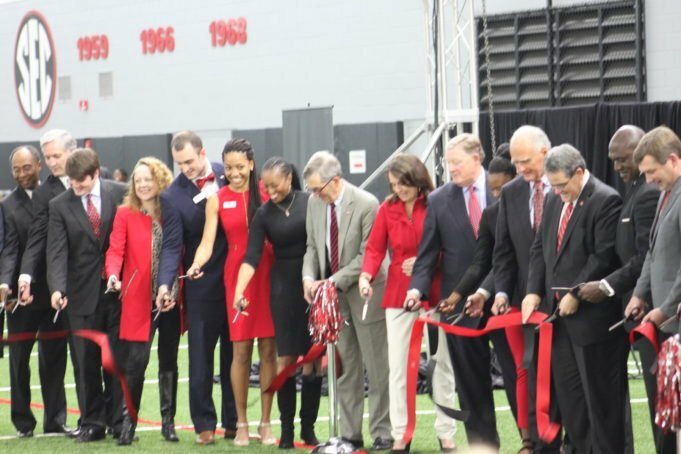 ATHENS——— Two days short of one year since the groundbreaking occurred, official dedication of the University of Georgia Indoor Athletic Facility (IAF) was held Tuesday inside the new 102,306 square foot structure. Participants in the ceremony included UGA President Jere W. Morehead, J. Reid Parker Director of Athletics Greg McGarity, head football coach Kirby Smart, and track and field Olympian and three-time national champion Keturah Orji. The $30.2 million project was completely funded by private gifts and includes a 100-yard football practice field, 65-meter track runway and jumping pits, and a netting system that will provide indoor practice areas for other teams during inclement weather. The new facility is connected to Butts-Mehre Heritage Hall and stretches north and south along the western side of Rutherford Street. Full dimensions of the football practice field are 140 yards long and 80 yards wide. The Woodruff practice field complex will now include the new indoor facility with artificial turf, two natural grass football practice fields, and an outdoor artificial turf multi-purpose area. 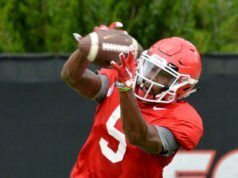 During construction, the football team practiced at a location off S. Milledge Avenue near the UGA soccer-softball complex. 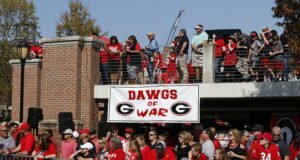 For the past year the football team has utilized a temporary practice area which is part of the UGA Club Sports Complex. 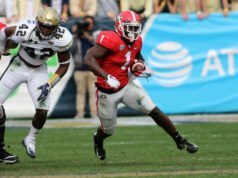 On that location, the Athletic Association constructed two new full-length natural grass fields and one full-length artificial turf field which will now be returned to the UGA Club Sports program.